Unique L’Oreal-owned fragrance brand Atelier Cologne has opened its first Canadian store location at Toronto’s Yorkdale Shopping Centre. It could be the first of multiple stores in Canada for the brand, which is growing its base of stores globally. We sat down with co-founder Sylvie Ganter, to discuss the new store last week, where she explained her passion for the fragrance brand that is considered to be the first fragrance house entirely dedicated to cologne. Atelier Cologne was founded in Paris in 2009 by the husband-wife team Christophe Cervasel and Ms. Ganter, who met in New York City in 2006 and subsequently founded the business based on their shared passion for fragrance. co-founder Sylvie Ganter at the entrance to the new Yorkdale store. High-quality raw materials are used to make the company’s fragrances, which are also considered to be unisex. More than 140 products are on display, including the Maison de Parfum’s best-selling fragrances such as its recently launched Iris Rebelle. There’s a selection of 32 Colognes Absolues as well as Atelier Cologne’s line of soaps, shower gels, moisturizing body lotions, hand creams and a collection of candles for the home. All are “produced with traditional French craftsmanship”, according to the company, with prices ranging from about $35 to almost $300 for fragrances, depending on sizes. A unique feature in the store is two walls of coloured leather cases for fragrance bottles that can be personalized with an on-site engraving machine. A total of 17 colours are available and Atelier Cologne’s candles (priced at $95) include leather tags that can be customized. The store also features a gift wrapping station. Customers are encouraged to buy multiple fragrances in an effort to create a “fragrance wardrobe” depending on mood and activities. Ms. Ganter revealed that Yorkdale will be a test store for the brand before it expands to more locations in Canada. The intimately-sized 625 square foot boutique, which is located in a modern shopping centre, has the appearance of being a well-established ‘atelier’ featuring antiques throughout the space, as well as an attractive Venetian blue facade that appears historical. Wood sets off the space that contains industrial furniture, vintage lamps and stools that were obtained by the founders during their global travels. A central island includes small orange tree plants and citrus fruit is displayed in the space — citrus is a base for many of Atelier’s fragrances, hence the reference. The historic-looking facade and interior could see the store easily fit in on a street in Vancouver’s Gastown or in Toronto’s Distillery District. Atelier Cologne now operates 15 boutiques globally, with three of those being in the United States (two New York City locations as well as a boutique in San Francisco). Other stores are located in Paris, London, Hong Kong, China, and Korea. Boutiques range in size from about 250 square feet to about 1,000 square feet and include a mix of street-front and mall stores. 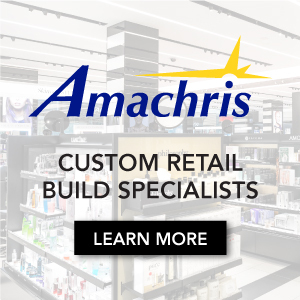 The brand launched at Sephora in Canada several years ago, and it continues to partner with retailers such as Nordstrom. 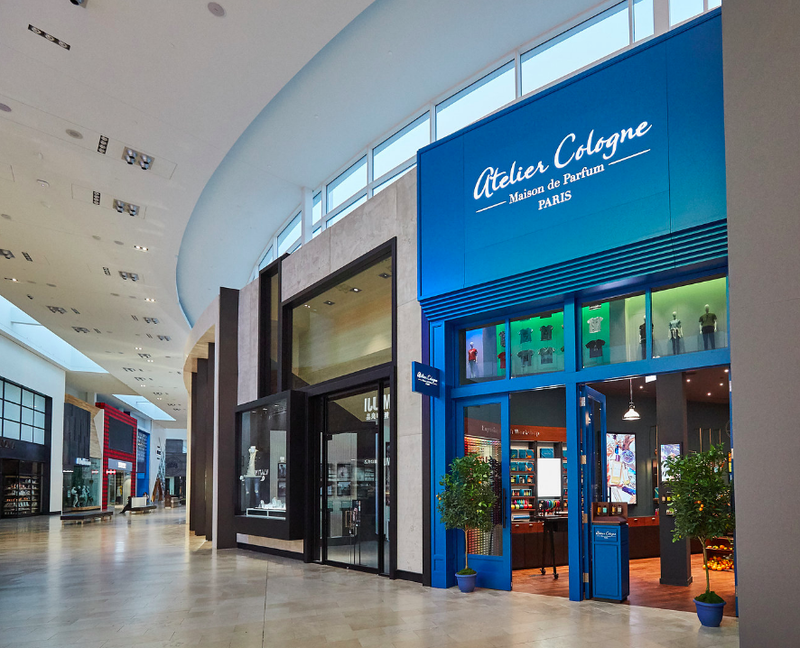 Standalone boutiques allow Atelier Cologne to create an enhanced brand awareness while also showcasing its entire wares in a dedicated environment.